A stochastically mathematical model of a stochastic SIR epidemic model with saturated incidence rates is proposed and analyzed, setting that all the death rate and incident rate are similarly per-turbed by an independent Gaussian white noise. First the paper shows that the infective population and recovered individuals will tend to zero exponentially almost surely under some additional condition. In addition, a sufficient condition for the stationary distribution around the endemic infection equilibrium state of the corresponding deterministic model is derived and the solution is ergodic. Hethcote, H.W. and Levin, S.A. (1989) Periodicity in epidemiological models. In: Applied Mathematical Ecology, Springer-Verlag, Berlin. Hu, X.L. (2007) The existence of periodic solutions for a SIR epidemic model with con-stant birth rate. 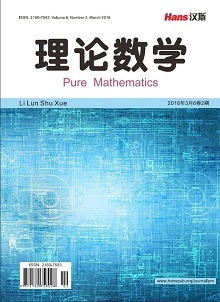 Pure and Applied Mathematics, 23, 372-376, 380. Mao, X.R., Marion, G. and Renshaw, E. (2002) Environmental Brownian noise suppresses explosions in population dynamics. Stochastic Processes and their Application, 97, 95-110. 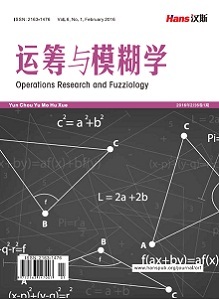 Tornatore, E., Buccellato, V. and Shaikhet, L. (2012) Stability of a stochastic SIR system. Physica A, 354, 111-126. Ji, C.Y., Jiang, D.Q. and Shi, N.Z. (2010) The behavior of an SIR epidemic model with stochastic perturbation. 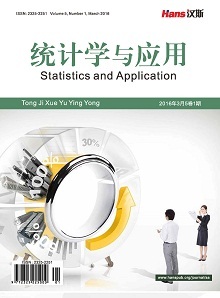 Stochastic Analysis and Applications, 30, 121-131. Dalal, N., Greenhalgh, D. and Mao, X.R. (2008) A stochastic model for internal HIV dynamics. Mathematical Analysis and Applications, 341, 1084-1101. Li, S. and Zhang, X. (2013) Qualitative analysis of a stochastic predator-prey system with disease in the predator. International Journal of Biomathematics, 6, 12500681-125006813. Abta, A., Kaddar, A. and Alaoui, H.T. (2012) Global stability for delay SIR and SEIR ep-idemic models with saturated incidence rates. Electronic Journal of Differential Equations, 23, 1-13. Liu, Z.J. (2013) Dynamics of positive solutions to SIR and SEIR epidemic models with saturated incidence rates. Nonlinear Analysis: Real World Applications, 14, 1286-1299. Lahrouz, A. and Omari, L. (2013) Extinction and stationary distribution of a stochastic SIRS epidemic model with non-linear incidence. Statistics & Probability Letters, 83, 960-968. Mao, X.R. (1997) Stochastic differential equation and applications. Horwood Publishing Limited, Chichester.